Located on the second floor, this room is perfect for small meetings and retreats. The room overlooks Lake Michigan and has a gas fireplace, screen and projector, and wireless internet connection. The room can be set up various ways to accommodate your group. The mezzanine area, just outside the Conference Room, provides a convenient location for catered breakfasts and lunch buffets. 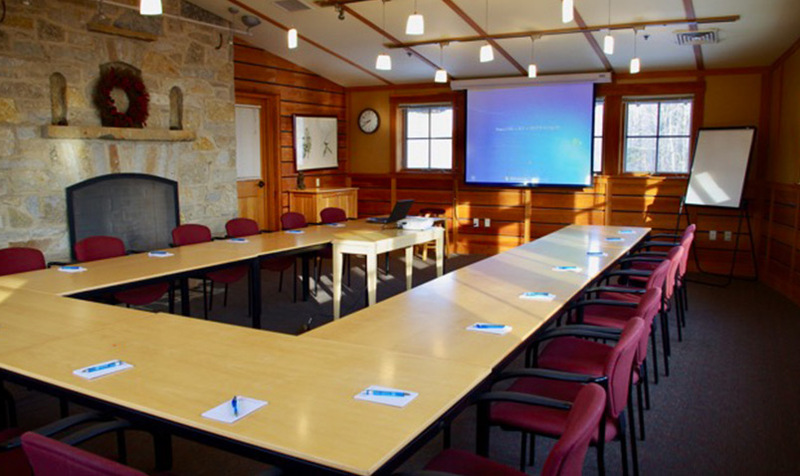 Our Conference Room provides a natural setting for your meeting or retreat.